This was a matter of life and death. After ten years of growth as feature plants in my largest perennial bed, my pair of Wine and Roses Weigela looked very ragged this spring. With instructions from Google search references, I trimmed them back only to have severe drought conditions thru July and into August. The great challenge in my case was to get positioned correctly to pull up volunteer trees growing up through the woody weigela branches. (This is also a problem with butterfly bushes and lilacs.) More trimming gave me better access. Rain from Hurricane Isaac gave me better chances of pulling (the not so little) trees up. I decided that if I could not remove the volunteer trees from the tangled branches, the weigela would need to go. 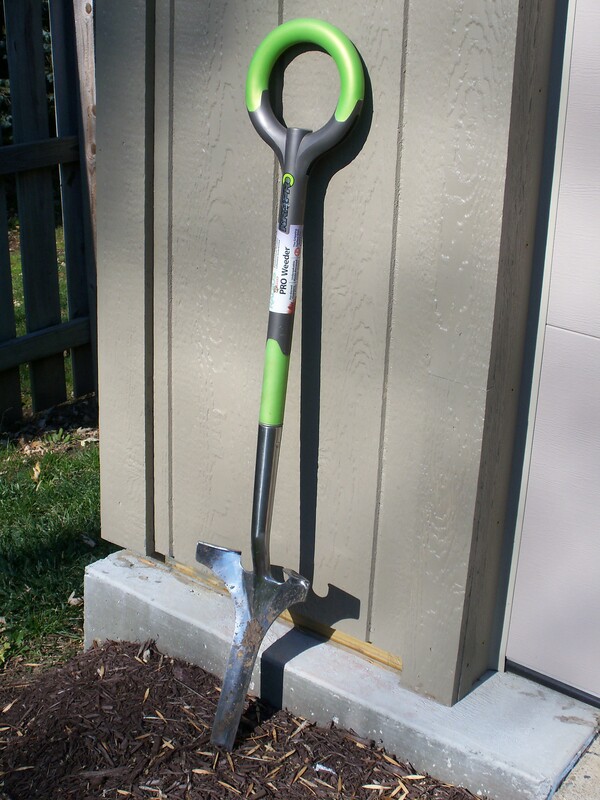 Digging required my super professional weed shovel, because the roots can be 12 inches deep! Mission accomplished. One bag full of volunteer trees and trimmings. 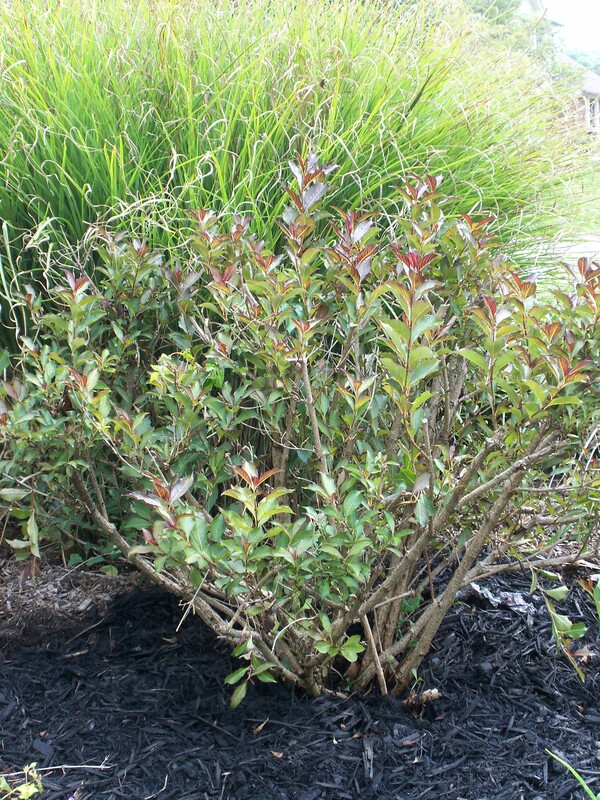 Weigela topped off with 1 cu ft enriched garden soil and 2 cu ft mulch each.